Here is my next recipe with cooking with elderly guest series after a long time. This time it is with Mrs.Nirmala from Karnataka who has come for a short visit to my friend’s family. The only dish I could immediately think is Akki Roti. Here recipe included a lot of vegetables and was very tasty. Being in Singapore I hardly get a chance to publish “cooking with elderly guests” series for Indian food. So when I find someone who comes as guests to my friend’s house I take few hours of their time to get there best recipe. I had a chance to taste Mrs.Nirmala’s food earlier and I requested her to do a recipe for me. She was so happy to do it. Akki roti never comes properly to me hence I decided to learn this dish from her. This recipe does not have my regular diet based food as it is as part of “Cooking with guest” series. I leave the complete freedom to the guest to choose the ingredients. I shall be publishing a diabetic friendly version of this very soon. 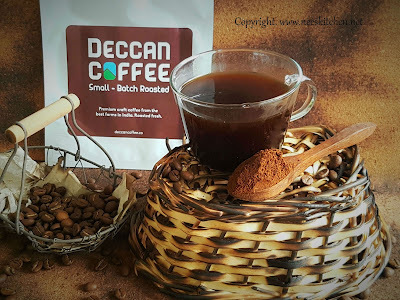 I am now trying all possible variations to give the best diabetic recipe similar to this. I learnt a lot of tips from her so that the roti comes perfectly. 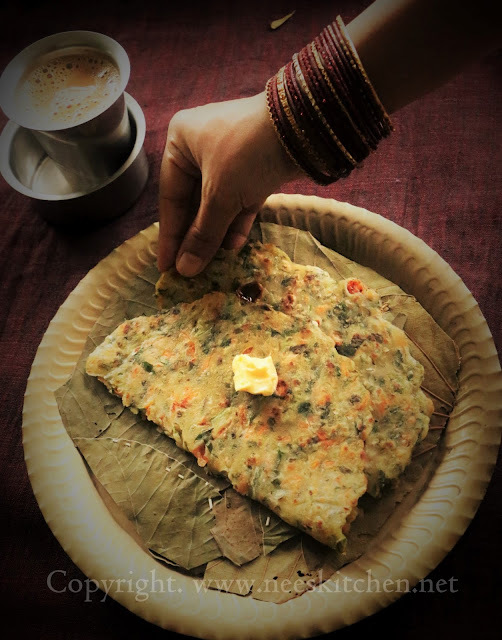 Though we had used a thick butter paper for this recipe, you can use dry bio degradable leaves for this. There is a generous amount of oil used as that is the traditional way to do it. We can have it with chutney or butter. Butter tastes the best. For kids, just omit the chili and the rest can be still the same. This dish cannot be mixed in advance or kept in fridge. It must be mixed and prepared immediately. 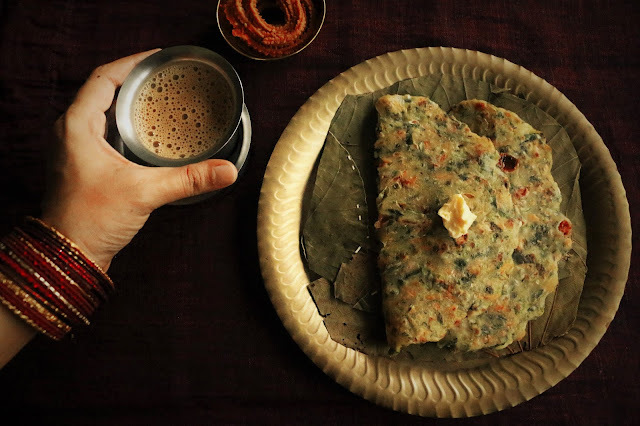 If mixed in advance water will start coming out from the batter.Hence you may cut the vegetables and keep them ready and mix it with rice flour and oils as and when needed. A big thank you Mrs. Nirmala for giving this wonderful recipe and so many tips. Check out my other Cooking with Guest Recipes. 1. Grate all the vegetables finely. 2. Mix Rice flour, 2 tblsp of oil ,vegetables and cumin seeds. No water is needed. Take a biodegradeable leaf / butter paper or banana leaf like zip lock and apply oil. 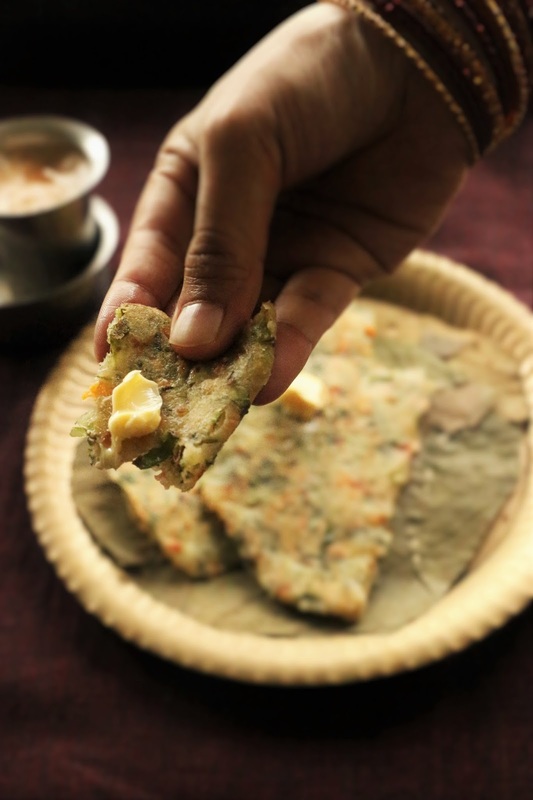 Start making the akki roti mix by placing them on the paper and use your hands to make them as a circle roti. 3. Once done take a non stick pan and heat the pan. Once hot, add 1 tsp of oil to it. 4. 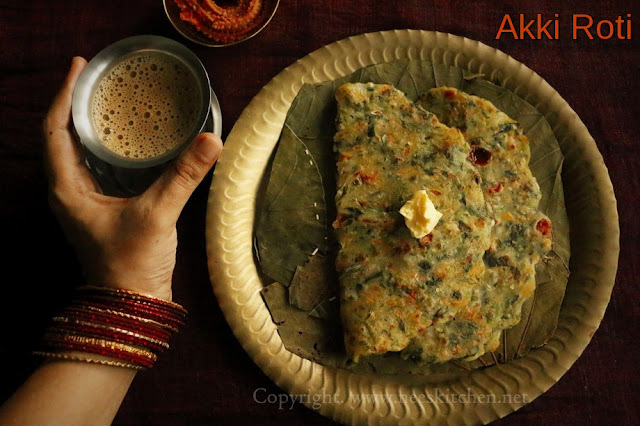 Take the akki roti with the biodegradeable leaf / butter paper sheet and put it on the pan and leave for a minute so that it gets stuck with the pan. 5. Take out the sheet and flip the akki roti 3 to 4 times. Add oil when you are flipping for the first time. After that it is not needed. 6. After flipping each time close it with a lid so that it gets cooked well. 1. Any vegetables can be added to this. The water in the tomato , cucumber is sufficient for this roti and no additional water is needed. 2. 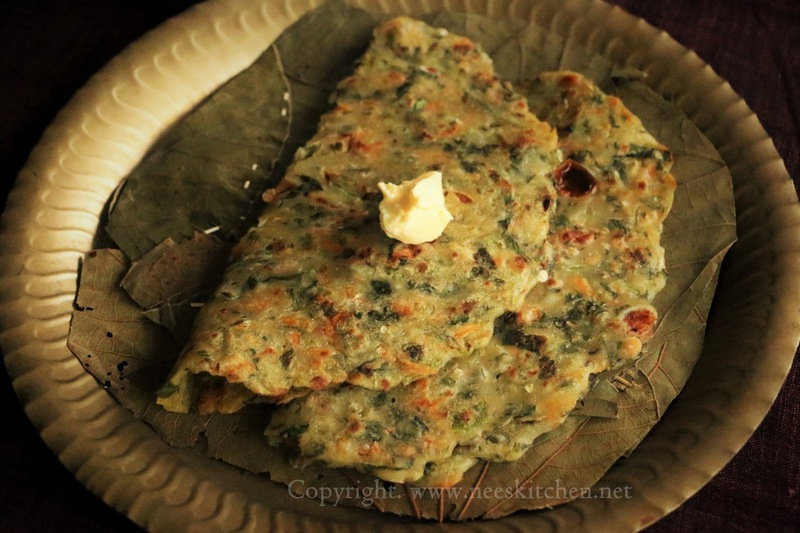 It is a must to place the bio degradeable leaf or butter paper on top of the pan after flipping.